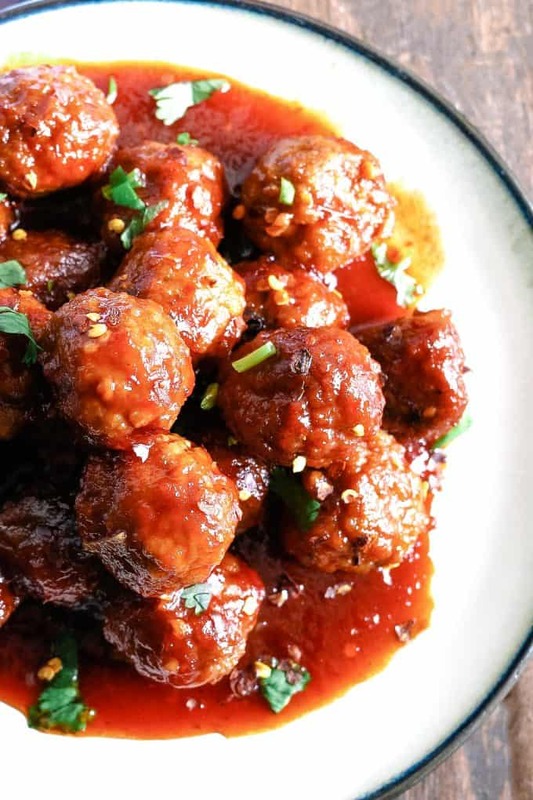 These slow cooker sweet and spicy meatballs are the perfect easy game day appetizer. Use frozen meatballs to save time! 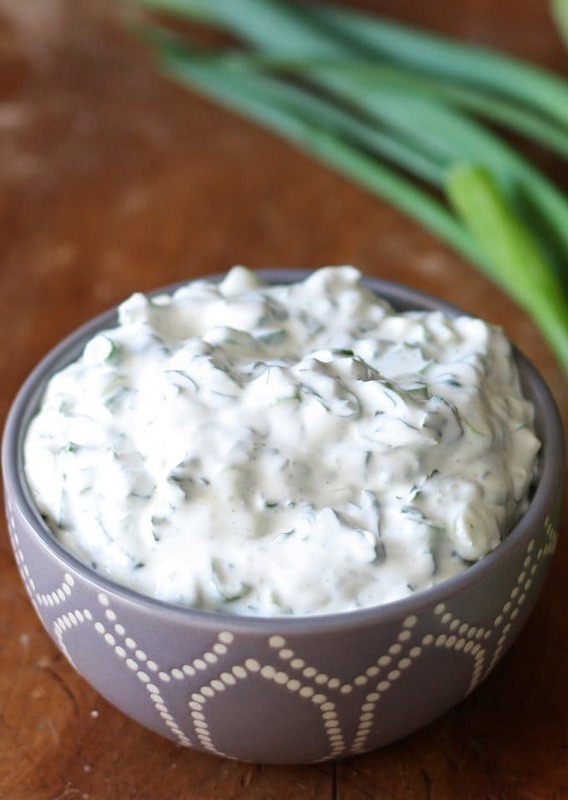 I love appetizer recipes and the easier the better. 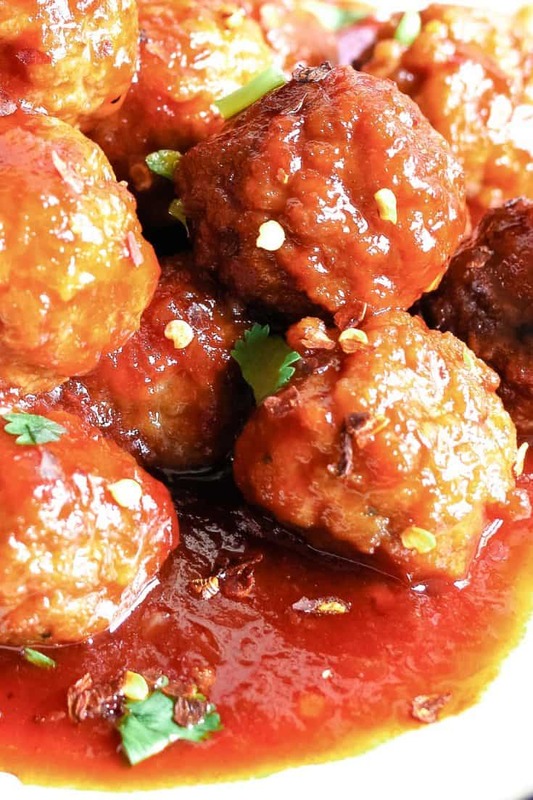 And you can’t get easier than my sweet and spicy meatball recipe. I have many go-to party slow cooker recipes – slow cooker bean dip and slow cooker taco dip are two of my favorites. And this recipe – because you can set it, forget it, and then devour it when it’s done. 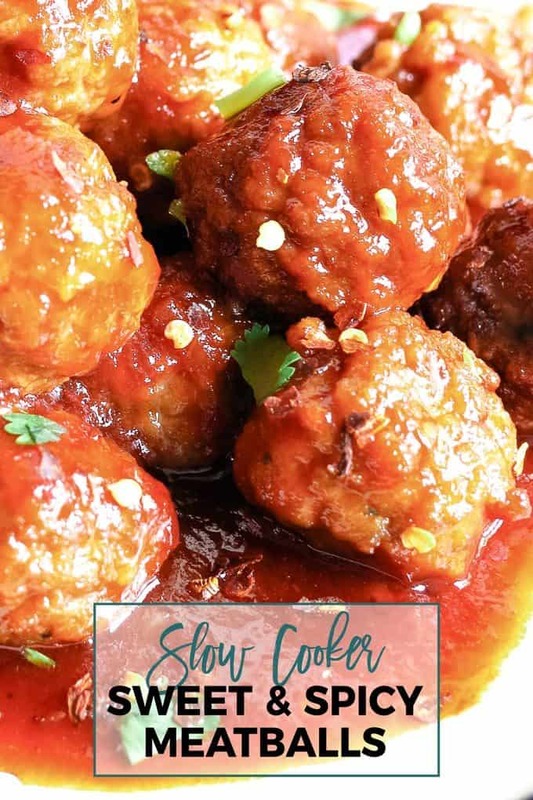 These slow cooker sweet and spicy meatballs are so easy to make that you are going to be shocked you didn’t make them sooner. While I am usually obsessed with making everything from-scratch, this is one of the few recipes I suggest using store-bought meatballs. Start by cooking the sauce in a small pot. Saute the garlic and then add the chili sauce and grape jelly. Cook for 10 minutes on medium heat, stirring frequently. If the jelly doesn’t completely melt at this time, it’s okay – it will finish melting when in the slow cooker. While the sauce is cooking, put the meatballs in a 2-quart slow cooker. Add the spices to the sauce, stir and then pour it over the meatballs. 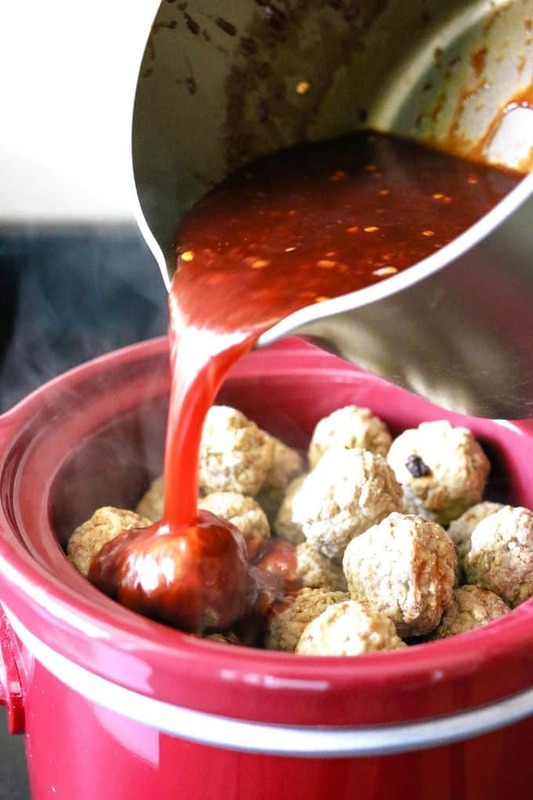 Heat that in the slow cooker for 1 1/2 – 2 hours or until the meatballs are hot and the sauce is bubbly. 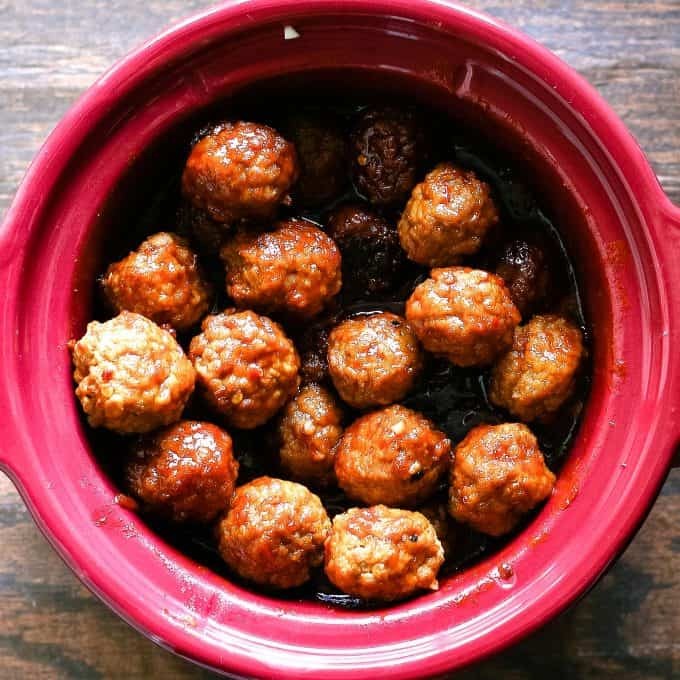 I like to flip the slow cooker to warm and serve these delicious meatballs from there, but it also works well if you put it in a serving bowl. Place a few toothpicks into some of the meatballs and then keep a small bowl of toothpicks some more nearby. Your friends will figure out what to do next. Sweet and spicy meatballs for everyone! Can I use homemade meatballs? Yep! Using homemade meatballs is going to take more time but if you have time to spare, it’s worth it. I have homemade meatball recipes that I use a lot. Easy Homemade Spaghetti and Meatballs or Meatball Tortellini Soup both have delicious meatball recipes that I recommend. Make small meatballs and brown them in a pan before placing them in the slow cooker. I recommend checking the meatballs after two hours to see if they have cooked all of the way through. If they have, switch the slow cooker to warm and serve! Can I use a different type of jelly or jam? Yep! Grape jelly is my favorite and “traditional” for this recipe but you can use any jelly flavor. You can also use jam or preserves. Pour the oil in a small saucepan and heat over medium heat. When the oil is hot, add the garlic and saute for 30 seconds. Then add the chili sauce and grape jelly and mix together. Cook for 10 minutes on medium heat, stirring frequently. Place the frozen meatballs in your slow cooker. Add the spices to the sauce mixture, stir and then pour it over the meatballs. Cover and cook for 1 1/2 - 2 hours on high, or until the meatballs are hot and the sauce is bubbly. Stir once after 1 hour. 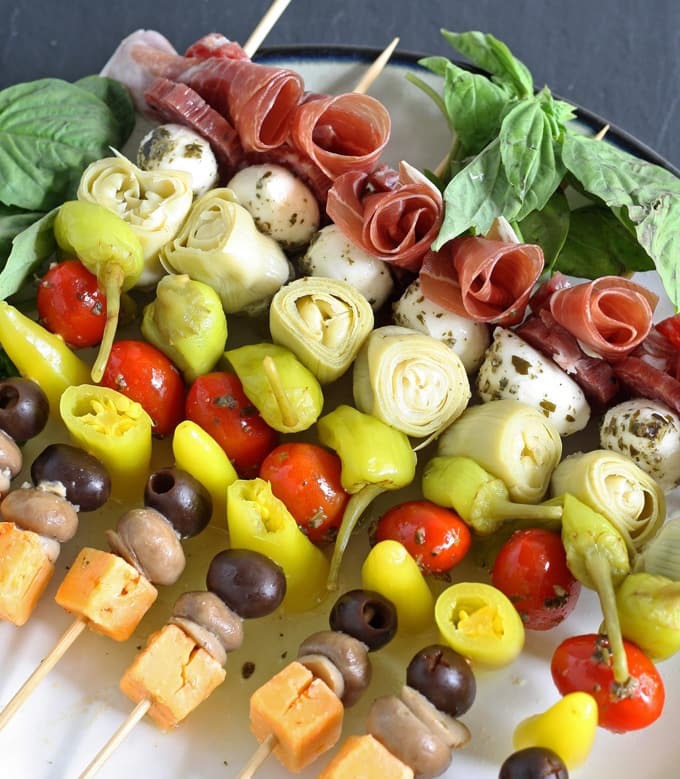 Looking for more appetizer recipes, perfect for tailgating? Try these! Looks delicious! 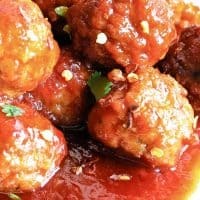 Would tbese work with homemade meatballs (vs frozen)? Less cook time? The absolutely would work with homemade meatballs. I would probably brown them a little first, but the cook time would probably decrease by an hour. I will have to give it a try and update you with the time! This looks delicious. I’m going to have to try this. Who doesn’t enjoy a good meatball when you’re tailgating? Thank you for sharing at the Creative Muster Party. PINNED! Looks so good! Thanks for sharing at the #InspirationSpotlight party. See you again soon. Pinned & Shared. This looks so good! 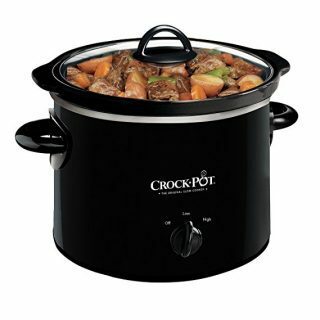 I love crock pot recipes ! I’m so excited to see all the recipes! Thanks for sharing! 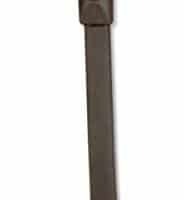 Hi William, I use an automatic nutrition calculator – unfortunately, it is not always accurate. I have been going through each recipe’s nutrition facts and correcting them but it takes a long time. I will move this one to the top of the list. What kind of chili sauce did you use? 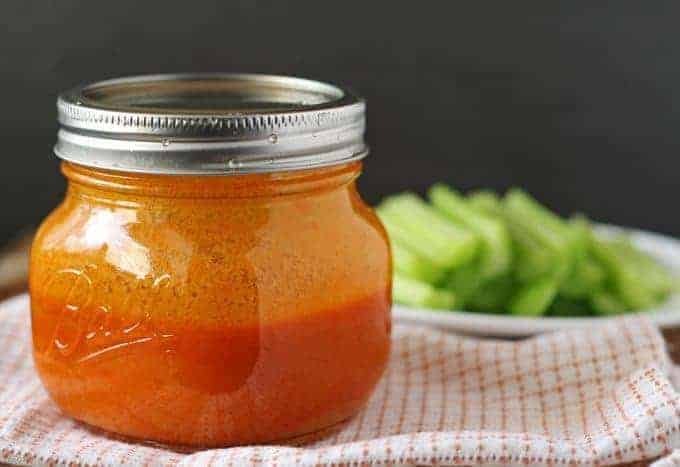 I used Heinz chili sauce (https://amzn.to/2W2lUov) but you can use any kind.